Green buildings create healthier workers and increase productivity. 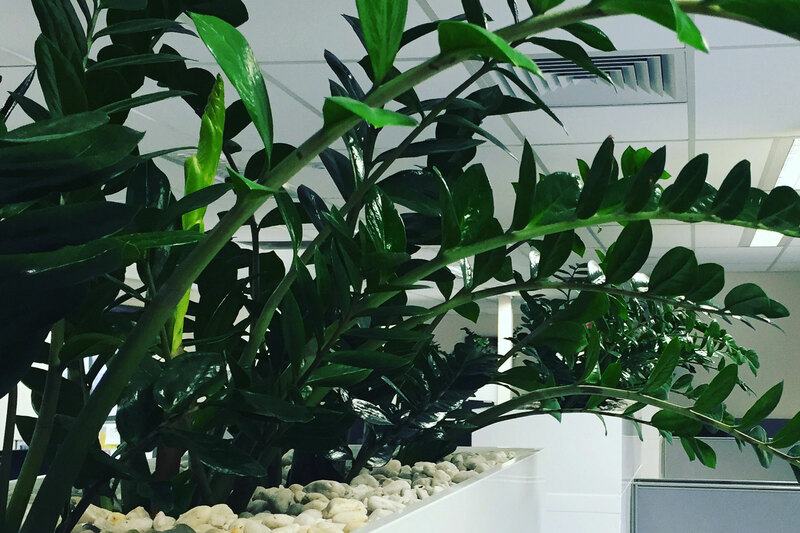 Research at two facilities came to the same conclusion: interior plants are a part of a healthy work environment that makes for more productive employees. Indoor air can be 100 times more polluted than the outdoor air in major cities. Indoor air quality problems are most often caused by poor ventilation, contamination and inadequate filtration, all of which allow pollutants to accumulate. Modern buildings are designed with sealed windows and lower fresh air intake to minimise airflow in and out for energy and cost saving in heating, ventilating and cooling. 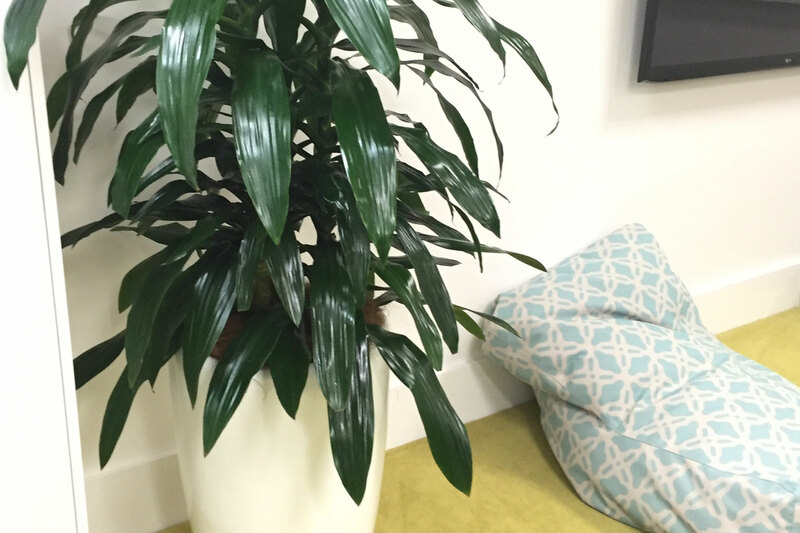 Indoor plants can reduce the amount of toxins in these closed environments and produce fresher air. Have you ever left the office with a headache, sore throat or coughing you may be suffering from what is known as “Sick building syndrome”. Where do these “Sick building syndrome” pollutants come from? Copiers, inks and cleaning supplies. How can I remove these pollutants? A study by Dr. Wolverton of NASA has determined that many common house plants can reduce or eliminate the presence of Benzene, Formaldehyde and Trichloroethylene in a closed environment. This article was reprinted directly from the NASA site. “Common indoor plants may provide a valuable weapon in the fight against rising levels of indoor air pollution, based on research conducted by NASA. NASA and the Associated Landscape Contractors of America (ALCA) today announced the findings of a 2-year study that suggests that common indoor plant may provide a natural way of combating “sick building syndrome”. An acute incidence of indoor air pollution that can occur in closed or poorly ventilated offices and residences. Research into the use of biological processes, as a means of solving environmental problems both on Earth and in space habitats, has been carried out for many years by Dr. Bill Wolverton, a senior research scientist at NASA’s John C. Stennis Space Center, Bay St. Louis, Mississippi. Based on preliminary evaluations… the use of common indoor plants for indoor air purification and revitalization, ALCA joined NASA to fund a study of about a dozen popular varieties of ornamental plants to determine their effectiveness in removing several key pollutants associated with indoor air pollution. Each plant type was placed in sealed, plexiglass chambers in which chemicals were injected. Philodendron, Spider plant and the Golden pothos were labeled as the most effective in removing formaldehyde. Flowering plants such as the Gerbera daisy and Chrysanthemums were rated superior in removing benzene from the chamber atmosphere. Other plants demonstrated to be effective air purifiers include the Bamboo palm, Peace lily, Ficus, Dracaena massangeana cane, Mother-in-Law’s tongue (Sanseveria), English Ivy and Chinese evergreen species. They help reduce stress. 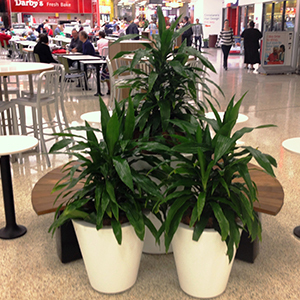 UTS have conducted research where two psychological survey questionnaires administered before and after three months of plant presence (or absence). Results showed plants at work helped: 37% reduction in tension/anxiety; 58% reduction in depression/dejection; 44% reduction in anger/hostility; and 38% reduction in fatigue. 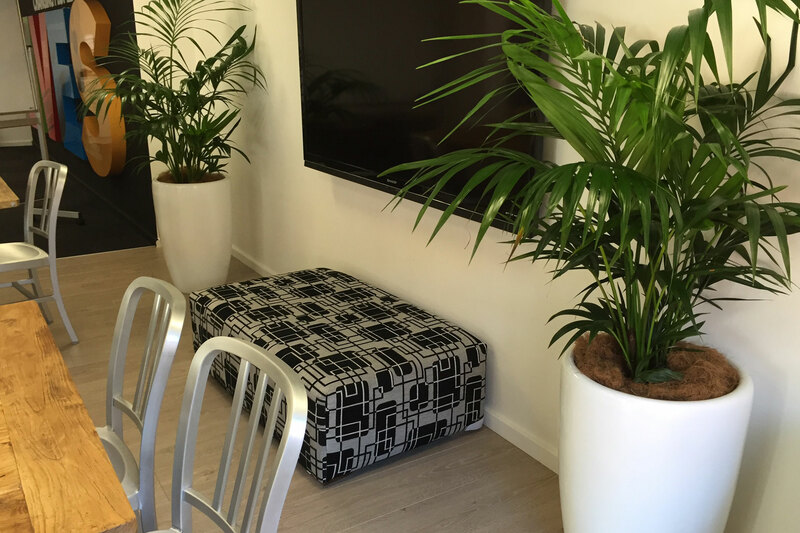 Surveys show people who work with plants around show: Improved scores on full range of job satisfaction criteria and they give immediate, living, green aesthetics ‘biophila’. Exterior – green walls and roofs (to help reduce costs of heating, cooling and improve value of building).